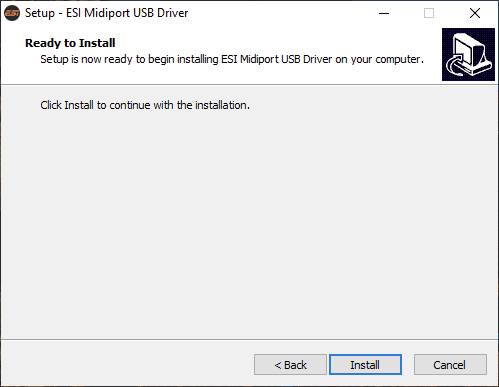 Please note that this optional driver works only with 32-bit and 64-bit versions of Windows 7, Windows 8, Windows 8.1 and Windows 10. Older versions of Windows are not supported. After the installation of the driver, the products listed above will not use the generic driver that is included with Windows, but the ESI MIDI Port driver. This makes it more convenient to use multiple decides at the same time and all the devices are accessable via the multiclient support in multiple applications at the same time. After the reboot, you can connect and start using your MIDI device with the ESI MIDI Port driver. If you use multiple devices, they will all be usable at the same time. 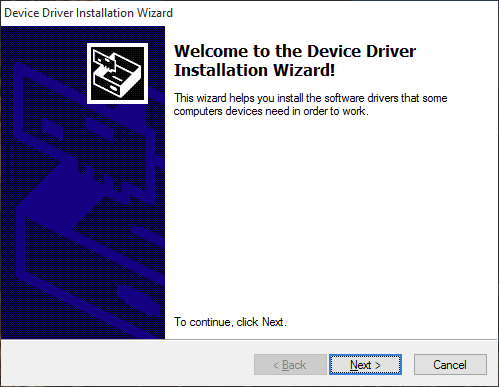 In case you need to uninstall the driver at a later time, you will find it under the list of installed Programs in Windows Control Panel. You can simply remove it there. 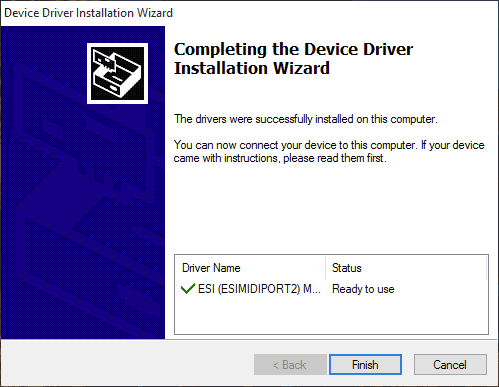 Even after the driver has been removed, you can use your ESI MIDI devices via the generic driver that is included within Windows.